"The future of fan-athlete interactions in a wired world—or one possible version of it—is being beta-tested in the simmering cauldron of a track and field discussion site called LetsRun.com, where, a few years ago, the legendary Kenyan distance runner Henry Rono started posting messages..."
-Alex Hutchinson in a fabulous magazine piece "The Crowd Goes Wild" that was nominated for a National Magazine Award in Canada. The article analyzes athlete-fan interactions in the online world and in essence discusses all things LetsRun.com including the nature of message boards, fandom, anonymity, civility, the pointlessness of athlete interviews, Craig Mottram's infamous interview, track fans with cameras and much, much more including Alan Webb: "Propecia or Rogaine?" 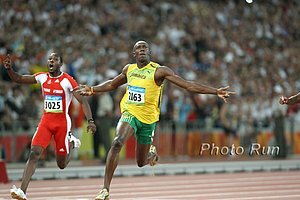 Hutchinson, a former Canadian national team member, clearly gets LetsRun.com and how the internet has changed the nature of hero worship. 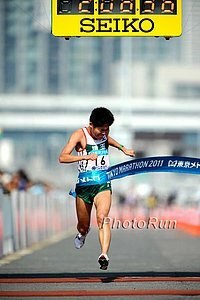 He also has a sweatscience blog which recently discussed whether its smart to lead a 1500m championship race early on. He has a new book out which has a lot on what scientists know about training in general and includes a lot on running. Do you believe Bekele did this workout? Could Lance win the Ironman in Hawaii? Recommended Read: US Marathoner Brad Poore Helping Caroline Kirui And Husband Weldon Get a Chance at Running in America Lengthy article on the struggles to make it as a pro runner. The Morgan Uceny Show Continues!!! 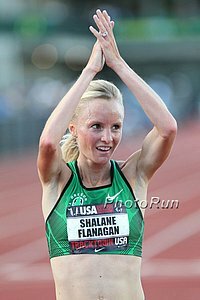 - UCENY 1:58:37 Win @ Lignano The American continued her fine 2011 with a win over Alice Schmidt as 5 American women broke 2 at this meet, which in the distance races is almost an American all-comers meet. In her 3rd 5,000 in 11 days, Amy Hastings missed qualifying for Worlds again as she ran 15:29 and Angela Bizzarri was much worse (16:10). Race video on right. KD 1:44.45 He dominated with a 1.5-second victory over David Torrence. Time for KD to test himself in a Diamond League meet. Plus Dorian Ulrey, Jordan McNamara, Rob Myers and AJ Nation in the 1,500. Oscar Pistorius Runs 45.07 Olympic qualifier A huge PR. A great human interet story, but Oscar P should not be running at the Worlds. MBoard thread here. It's Official - Teddy Tamgho Out Of World Champs With Broken Ankle Check out the picture of him wearing a NY Yankees hat. IAAF Considering World Relays Championships Meet Would include everything from 4 x 1 to 4 x 8. Want Some Bad Training Advice? Read This From The NY Times An exercise physiologist says there's no benefit to running on trails opposed to roads and that he "could not find any scientific evidence that a softer surface is beneficial to runners." We say try running a hard 8-mile tempo on the trails this week, then repeat the same workout on the road next week and see which one trashed your legs more. That's all the "scientific evidence" you need. Trail running has many benefits and Alberto Salazar would agree. 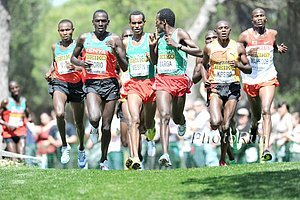 Looking Ahead To July 26th Giro Podistico Internazionale Di Castelbuono Some of Italy's best distance runners will go up against Ryan Hall, Boston Marathon Champ Geoffrey Mutai, London Marathon Champ Emmanuel Mutai and NYC Marathon Champ Gebre Gebremariam. *OlympicSteeplechase Champ Brimin Kipruto Wins Trials In 8:20.19 Commonwealth Games/Defending National Champ Richard Mateelong was 2nd in 8:21.39 as Abraham Chirchir was 3rd with 8:22.34 and former world junior champ Willy Komen 4th in 8:22.63. *IAAF Recap Day 2: Kipyego Says She Was Not Going To Miss Worlds Team "even if it means taking me to hospital after"
LRC The Week That Was In Running: Is Uceny #1? Will Centro EVER Run Faster, Alberto Debunks LRC Training? And More ... We analyze Morgan Uceny's win a little bit more, go deep into the statistical archive to present some crazy stats to ponder the unthinkable: Will Matt Centrowitz will ever run faster than he did last week?, praise Tyler Mulder, take a trip down memory lane and relive Alan Webb's Paris victory from 2007, and along the way in light of Alberto Salazar's comments about Mo Farah's training, we try to defend the LetsRun.com training approach. Plus we introduce you to the most amazing HS track and field coaching staff in the country - one that features 3 Olympic gold medallists. 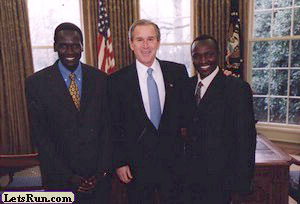 LRC Rojo Goes To Kenya - Post #1: Sammy Wanjiru Was Not Murdered LetsRun.com co-founder Robert Johnson has returned from 2+ weeks in Kenya and will be recapping his trip over the next week or so. Today, he reveals what he learned about Sammy W's death and provides video proof as to how in Kenya one can easily get locked into their own bedroom. 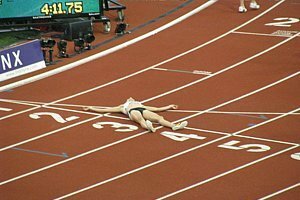 Recommended Read: Meet Gareth Warburton, a 1:46.47 800-metres runner, who epitomises the never-day-die (sic) spirit of an athlete A great article about a guy who trains every day, twice a day four times a week, works a part-time job, earns very little but dreams of being the best in the world. RRCA Announces 2011 Roads Scholar Class Megan Hogan, Bobby Mack, Meghan Armstrong, Lex Williams, Megan Duwell and Tyler McCandless all get grants. Athletics Kenya Reverses Course and Drops Nixon Chepseba from Worlds Team in Favor of Dan Komen AK wants you to believe Chepseba's original inclusion was because of a "typing error". We think it's the right decision but imagine if John Chaplin could pick the team in the US how political it would get? 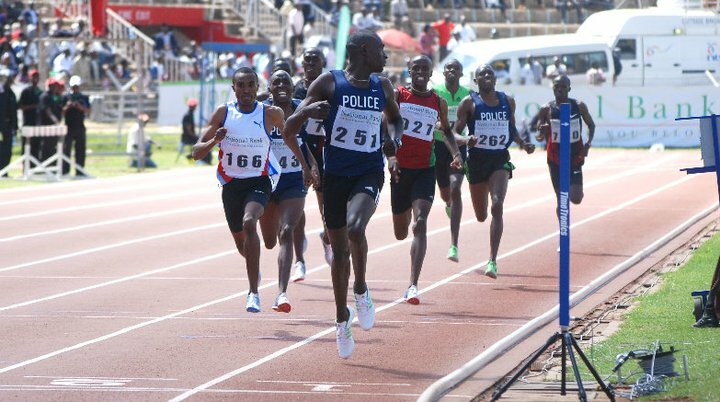 Paul Koech Asks Athletics Kenya to Put Him on Worlds Team The steeplechaser does not run well at altitude and never has been top 2 in Kenya. Blade Runner Reacts to Qualifying for Worlds BBC LRC will take the unpopular position and say it, "He shouldn't be allowed to run at Worlds". His lack of legs give him a huge advantage. But that doesn't matter because people write stuff like this: Guardian Writer: "The prosthetics are clunky, heavy, and appear almost homemade – crudely cut pieces of carbon fibre bolted on to wooden boards, "
The Power Of You: Australian Journalist and LRC Visitor Mike Hurst Points Out Some Scientists Say Oscar Pistorius Has a Huge Advantage With His Fiber Legs The scientists made their conclusion 2 years ago, but you all highlighted it in this thread, so it gets in the newspaper in Australia. Stephanie Hightower Becomes CEO..... of Columbus Urban League We had to laugh when we typed "Columbus Urban League" into google and it suggested "Columbus Urban League Scandal" (on a completely unrelated matter). 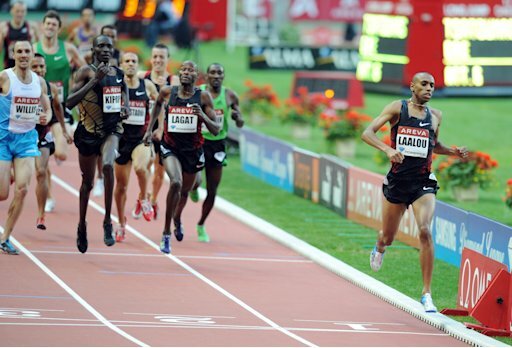 Diamond League Returns Friday In Monaco Track Showdown Coming: Aussie Rivals Gregson Vs. Riseley At 1,500 In Monaco There will be bigger guys like Silas Kiplagat but T&F needs more rivalries, so we'll promote this one. Former Foot Locker Champ Julia Stamps Runs 1:18 Half Marathon, Wins Magnum Of Wine Christian Hesch got the magnum on the men's side after running 1:04:53. Indy Track To Be Saved Sans Stands - Won't Be Able To Host USAs Anymore Amazing that the city where USATF is headquartered was going to destroy the track to make room for an NCAA parking lot. An Interesting Look Back - How Did The European Jr. Competitors From 2005 Fare As Pros Worth noting that Poland's Marcin Lewandowski has moved down from the 1,500. Lukas Verzbicas Sets Sights On Olympic Triathlon This article does not seem credible. This thread dissects it. Oregon's NCAA Champ, Anne Kesselring, Was 5th In The 800 In 2:02.97 At Euro U23 Champs She represented Germany. Bershawn "Batman" Jackson: "You Have To Have Guts To Do What I Do"
Recap From Final Day Of ESPN Rise Games Barbados' Anthonio Mascoll wins 800 in meet record of 1:50.65. *IAAF Recap Padova: Jamaica's Nesta Carter Wins 100m In 10.10; Olympic Champ/WR Holder Dayron Robles Wins 110 Hurdles Olympic champ/WR holder Dayron Robles wins 110 hurdles. Cuba's Yusneysi Santiusi wins 800 in 1:58.92. 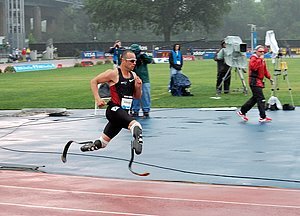 *"Blade Runner" Misses World Champs "A" Standard Again, Will Have Only One More Chance To Get It His best time is 45.61 and he ran 46.65 here, but the "A" standard is 45.25. 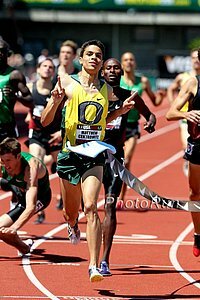 *2011 Heusden Track & Field Results Highlights from a North American perspective are as follows: 800: Tyler Mulder 1:46.05 for 2nd; 1,500: Will Leer 3:37.42 finishing ahead of Lopez Lomong as Nate Brannen runs 3:42; Men's steeple: Ben Bruce wins over Kyle Alcorn in 8:26; 5,000: Andrew Bumbalough 13:21.55 and Adrien Blincoe 13:24.82; Women's 5,000: Amy Hastings misses A standard yet again by hardly anything (15:15.56), meaning Angela Bizzarri won't be going to Worlds as of today, and Kim Smith runs 15:14.02 and Sara Hall 15:45.69. *Race Videos From 1,500, 5k & Steeple *MB Talk: Heusden stream tomorrow? U23 Champs Ukraine's Sheryf El-Sheryf Wins Euro U23 TJ In Astonishing 17.72m This puts him 2nd in the world this year behind Teddy Tamgho and ahead of Phillips Idowu! It was a huge 15-centimeter PR for him and if he can do this consistently, then the TJ competition at World Champs just became a 3-way event. Recap Of Final Day Of Euro U23 Champs: Holly Bleasdale Wins Pole Vault In 4.55m Overall, UK won 6 gold medals. France's Indoor TJ WR Holder Teddy Tamgho Injured And Could Be Out For Season He hurt his ankle during warmup and said: "It hurts a lot. It looks serious but I hope the season is not over for me." LRC Recap: Morgan Uceny (& Mo Farah) Do It Again As Rupp Takes Merga's Scalp!!! The Birmingham Diamond League meet did not disappoint, as Morgan Uceny did something an American hadn't done in 25+ years and training partners Mo Farah and Galen Rupp impressed at 5,000, both outkicking the reigning World Cross-Country champion, with Rupp also getting a PR in the process, as Farah's 54-second last lap got him the win. Plus wins from Abubaker Kaki, Asafa Powell and Phillips Idowu. American fans, repeat after us. It's okay, we swear: "American Morgan Uceny is currently the best women's 1,500-meter runner on the planet." *Open Letter To USATF From Mark Misch Mark coaches at University of Colorado - Colorado Springs and says athletes not knowing whether they'll be in the meet each year is the biggest problem and is hurting the sport.